It is very important to understand the difference between a normal login and using your facebook or twitter account to login. Many people have login details for multiple websites and it becomes increasingly difficult to remember different login details for multiple websites. One simple, easy way around this is to use your Facebook or Twitter account to login into PSL. This bypasses the need to create yet another username and password to remember. 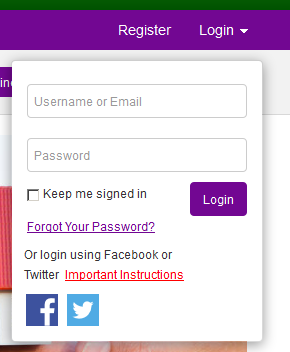 If you decide that it would be easier for you to use your Facebook or Twitter account to login then DO NOT register an account using the 'Register' button on the main menu. This will be explained in the example below. If you were to initially register using the 'Register' button on the main menu then an account will be created for you with the username, password and email that you decided to use on the registration page. 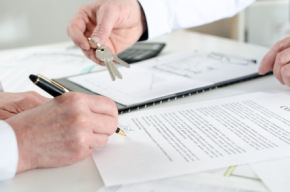 Let's say that you then browse some properties and save a few of the properties you like to look at another time. Then you decide at a later time to login with your Facebook account. Instead of your PSL and Facebook accounts being linked by your email address you will instead see that a different username has been assigned to you and you won't be able to look at your previously saved properies. You will have in effect created two different accounts. This is of course counter-productive and why it is important to not create a PSL account first on the registration page if you intend to use Facebook or Twitter to login. If you wish to login with your Facebook or Twitter then instructions are provided below to show you how your PSL account is created and how to update your account profile so that you can choose a new, more suitable username (you also have the option to create a password that you can use if you so wish). Click on the login button on the main menu to open the login panel. Click on the Facebook or Twitter icon. You will be redirected to Facebook or Twitter to login. Once you have logged in you will automatically be redirected to PSL. You will now see that you are logged in with an odd looking account name as shown below (you will update this in a moment to a username of your choice). This username will be configured with the prefix: ext_ followed by an 8-symbol alpha-numeric part. Click on your username to open the user menu panel. 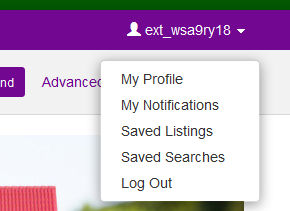 Click on the 'My Profile' menu link in the user menu panel. You will now be redirected to your user profile page. You can click on the 'Change Username' link to update your username to one of your choice. (Optional) You can create a password if you wish so that you can use instead of Facebook or Twitter login. Please add your email address as this is required.